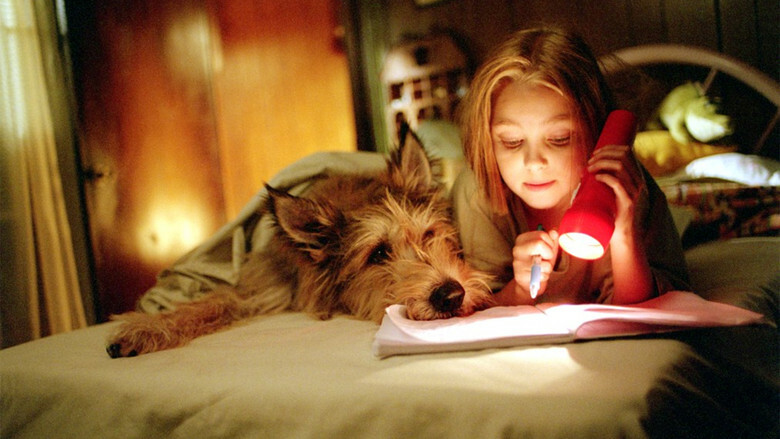 Christians have become more prominent in Hollywood lately, both as film makers and as film critics — and the press junket for Because of Winn-Dixie, a charming adaptation of Kate DiCamillo’s Newbery Honor-winning children’s book, offers ample evidence of both. On the one hand, the film, about a preacher’s kid and her pet dog, was produced by Walden Media, a relatively new company funded by Christian billionaire Philip Anschutz; having adapted other school-library staples like Holes and I Am David, Walden is now working on the upcoming film version of C.S. Lewis’s The Lion, the Witch and the Wardrobe. On the other hand, the studio distributing Because of Winn-Dixie has devoted an entire room to reporters from the religious media — but as the stars of the film take turns sitting down and fielding questions, it sometimes seems the Christian journalists here are still reluctant to believe that good things can come from Tinseltown. Fortunately, you don’t have to be desperate for good movie preachers in order to appreciate the palpable humanity Daniels brings to his role. As a Baptist minister who struggles to plant a new church in an abandoned convenience store, and who has had to raise his child alone ever since his wife abandoned him, Daniels was able to connect with the character’s love of preaching by relating it to his own love of acting. Daniels himself was raised Methodist but hasn’t been to church in decades, except to see his Catholic wife — to whom he has been married for 25 years — sing at Mass every Christmas Eve. As a playwright and the founding director of the Purple Rose theatre in Chelsea, Michigan — named after Woody Allen’s The Purple Rose of Cairo, which gave him one of his first big breaks — Daniels has tackled the subject of religious filmmaking, in a play called Thy Kingdom’s Coming, about a Jean-Claude Van Damme-style action hero who tries to turn the Bible into a star vehicle for himself. Any resemblance to The Passion is purely coincidental. While Daniels is reluctant to get specific about his beliefs, at least one of his co-stars — ten-year-old newcomer AnnaSophia Robb — is quite willing to talk about her Christian faith. Which is not to say that films like Because of Winn-Dixie don’t tackle serious themes. The grown-ups Opal meets — including a guitarist hounded by cops (Dave Matthews), a spinster librarian clinging to her family’s legacy (Eva Marie Saint), and an elderly woman haunted by her own battles with the bottle (Cicely Tyson) — all bring their issues to the table.